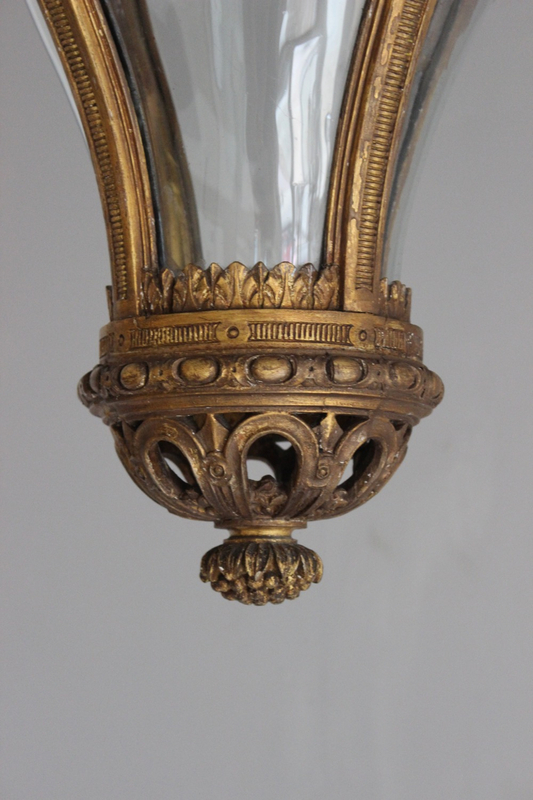 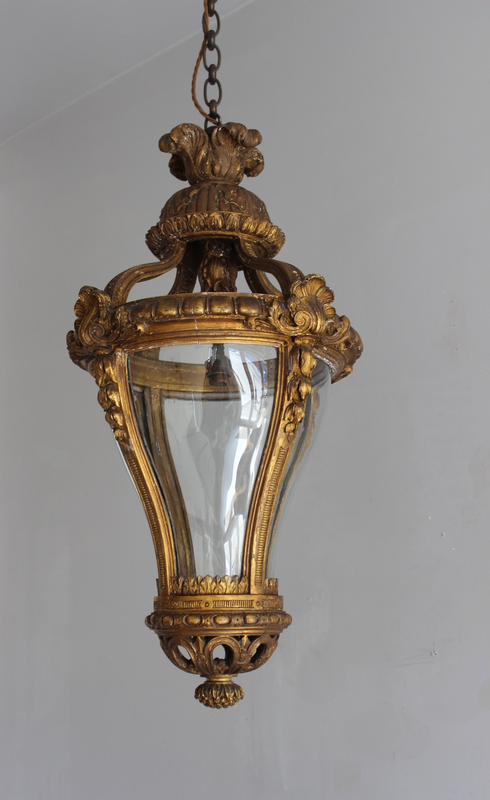 We have recently acquired an amazing Italian Giltwood lantern with original curved glass circa 1900 . Giltwood lanterns are so hard to find and examples of them are rare . 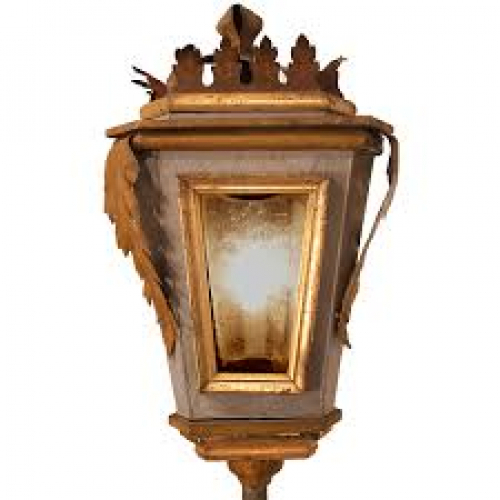 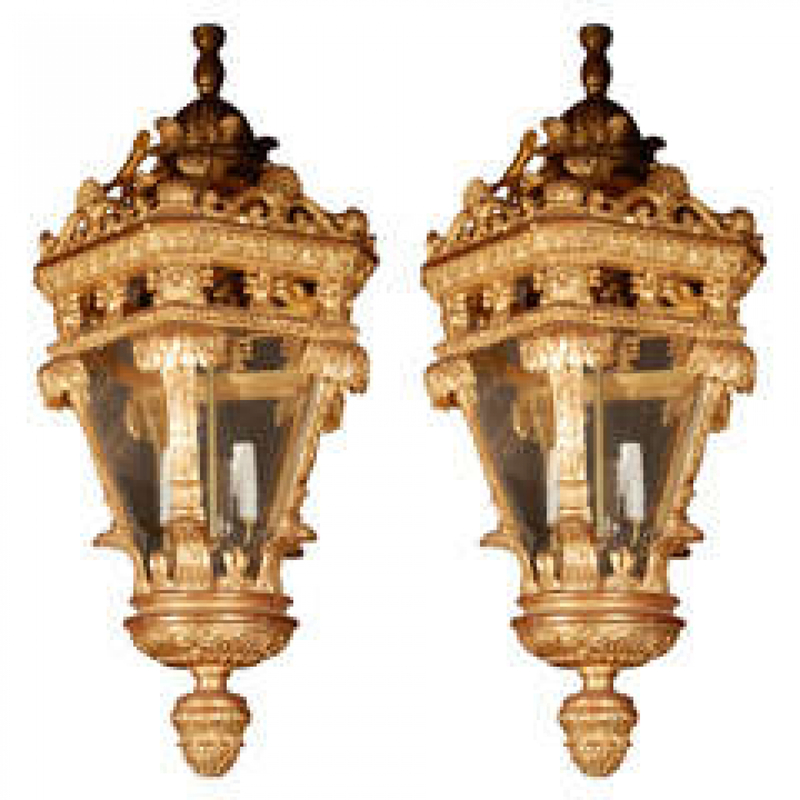 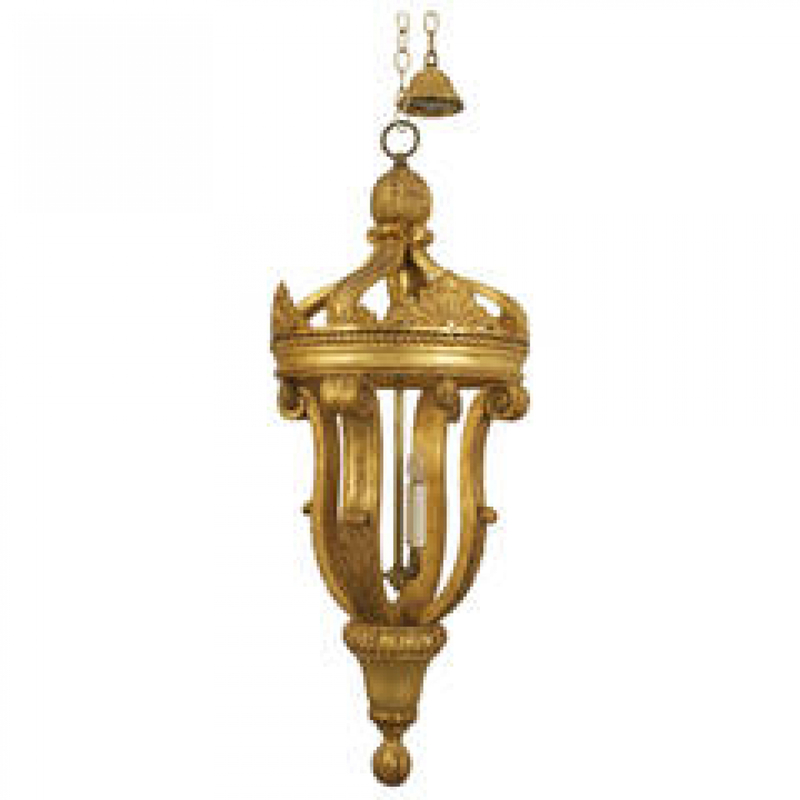 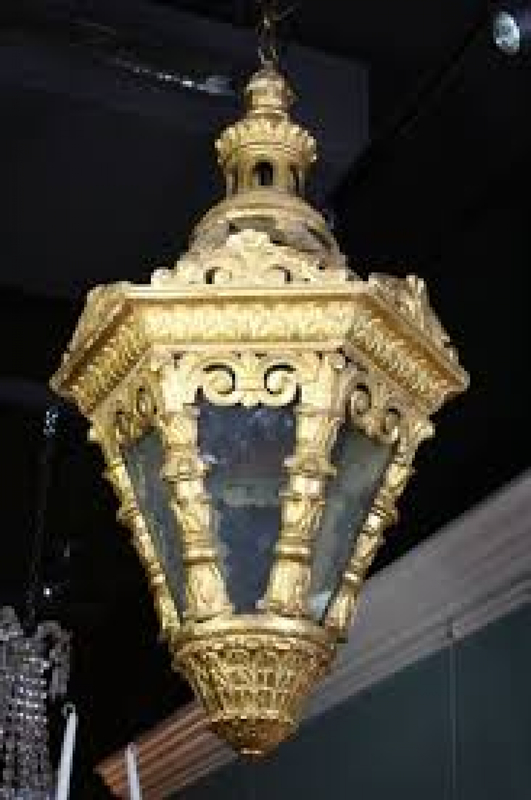 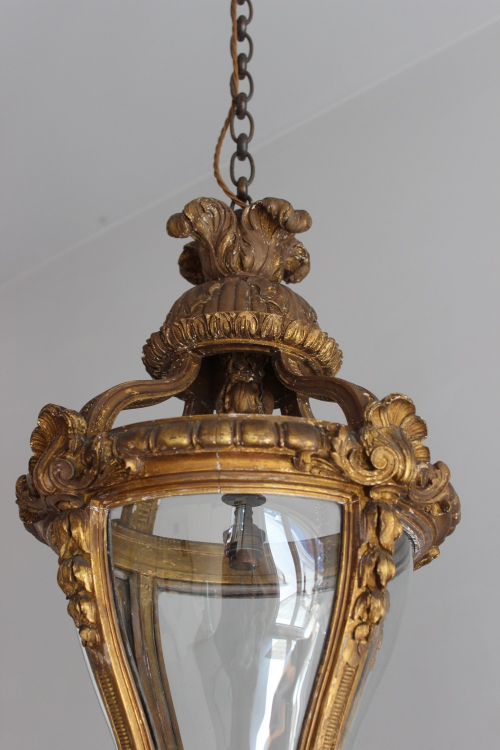 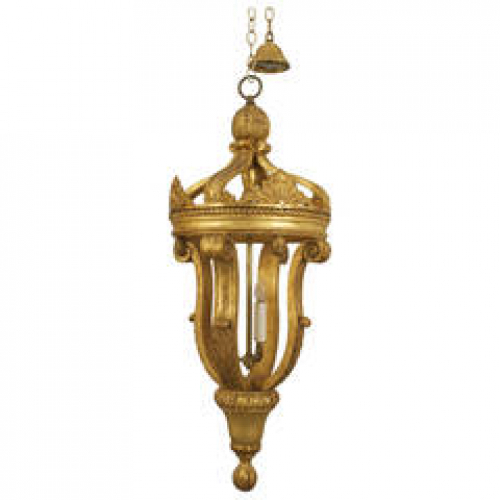 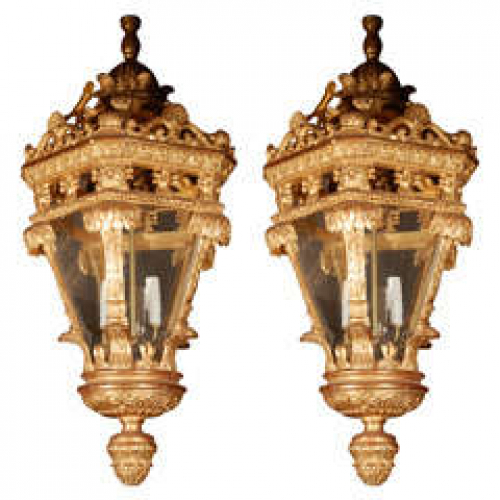 They differ from the brass framed lanterns and iron lanterns in the 'look' which is more baroque and gentler , they usually have one light point but have imposing decorated presence . Made for Italian palazzos and churches where the light levels were less and decorations were fabulous these were often hung is a series . 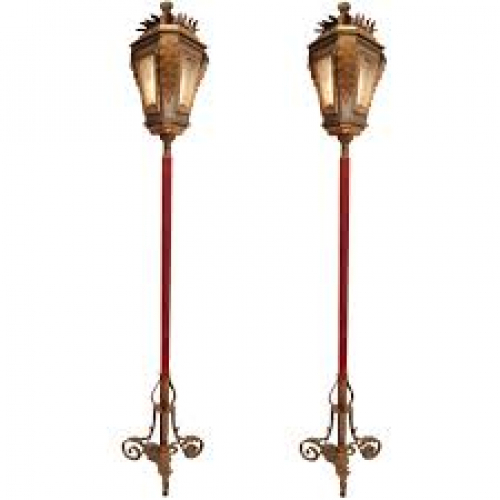 Often carried on poles as part of processional activities for churches in Italy and to light the way along lagoons , they did not last long for obvious reasons . 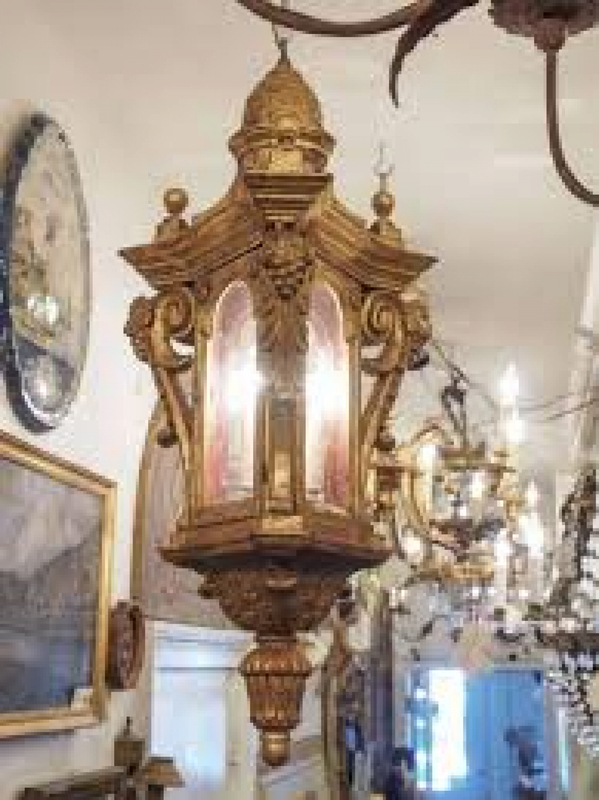 We are so lucky to have this example .